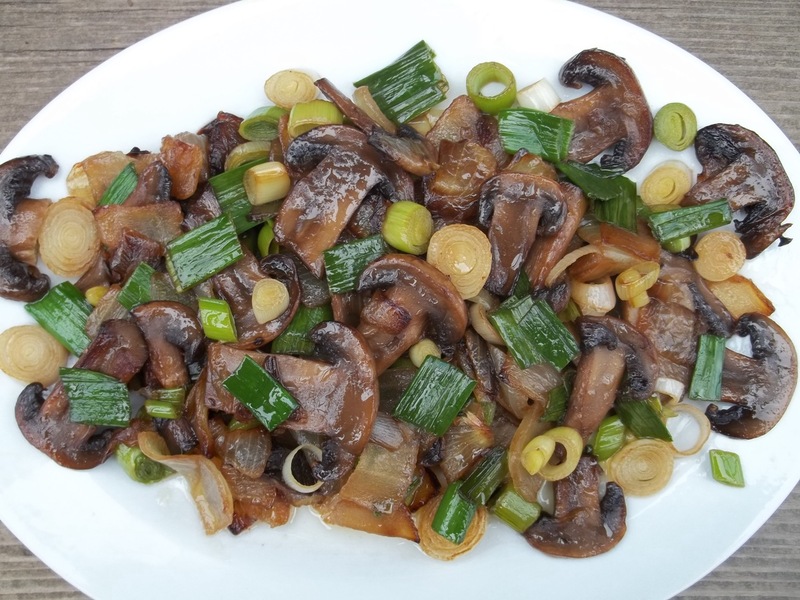 In this family recipe from Georgia’s Imereti region we show how to make a green garlic and mushroom dish. 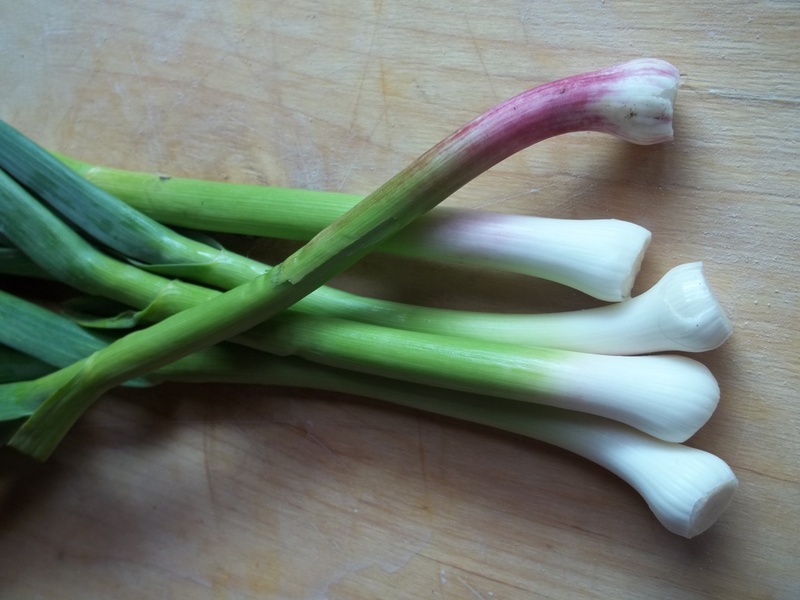 Green garlic is young garlic, picked before the cloves have begun to mature. 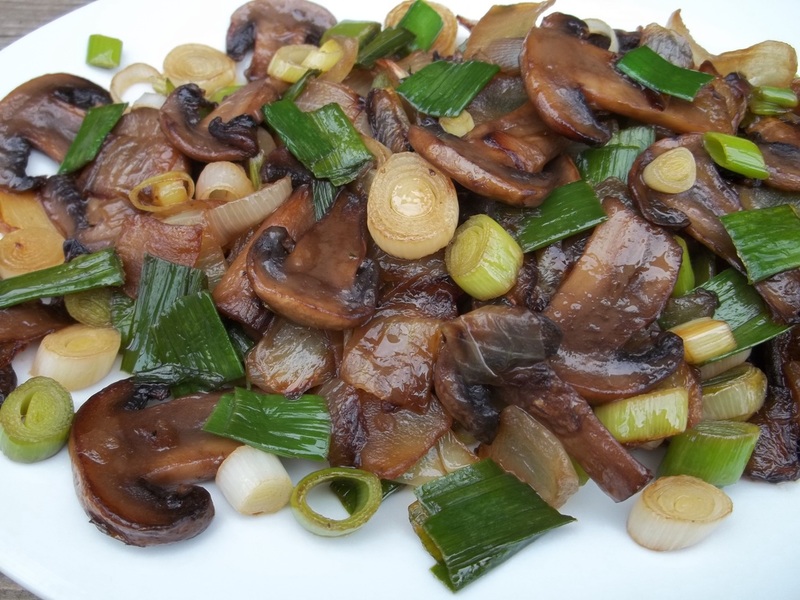 Ingredients: 1 kilo of mushrooms, 5 green garlic, 3 large onions, 100 grams of butter, 3 tbs of oil and salt (amount dependent upon personal preference). 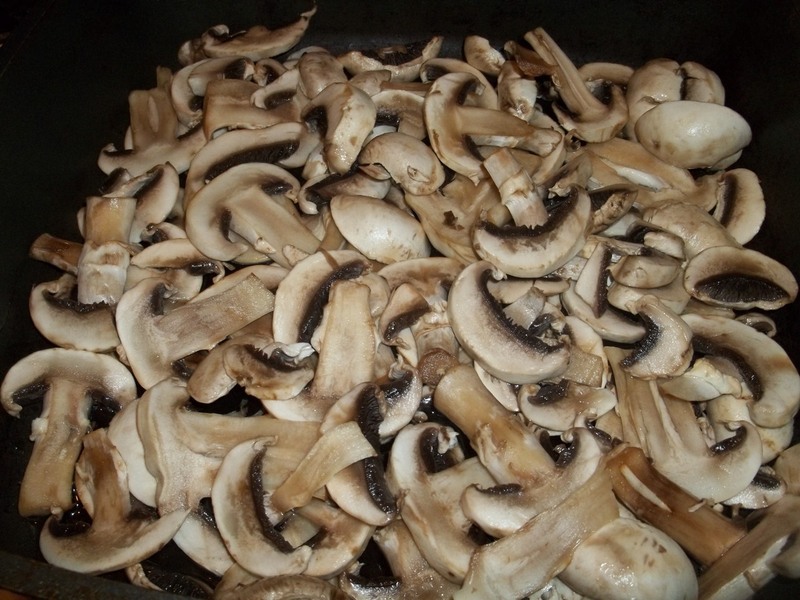 Preparation: Wash and slice the mushrooms and add to a pan (no oil should be needed at this stage). Cook on a low heat for 25 minutes. 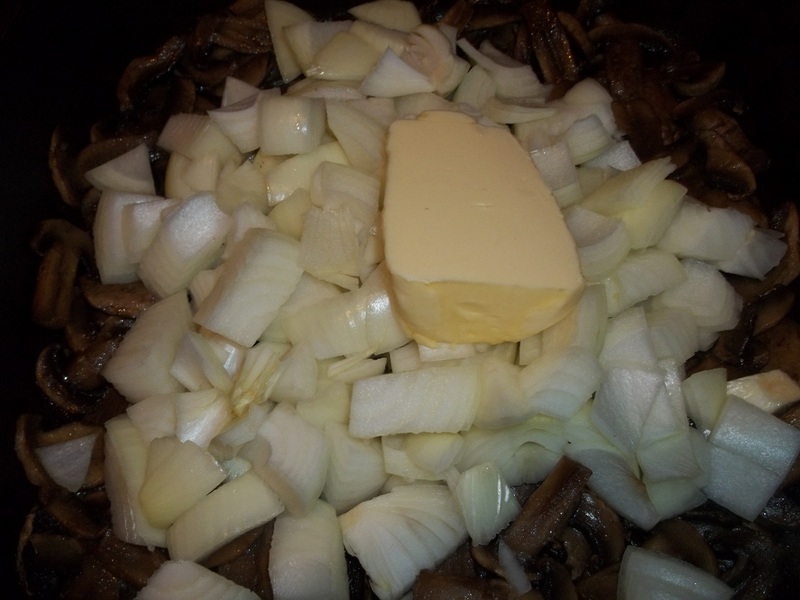 Chop the onions and add, together with the butter, to the mushrooms. 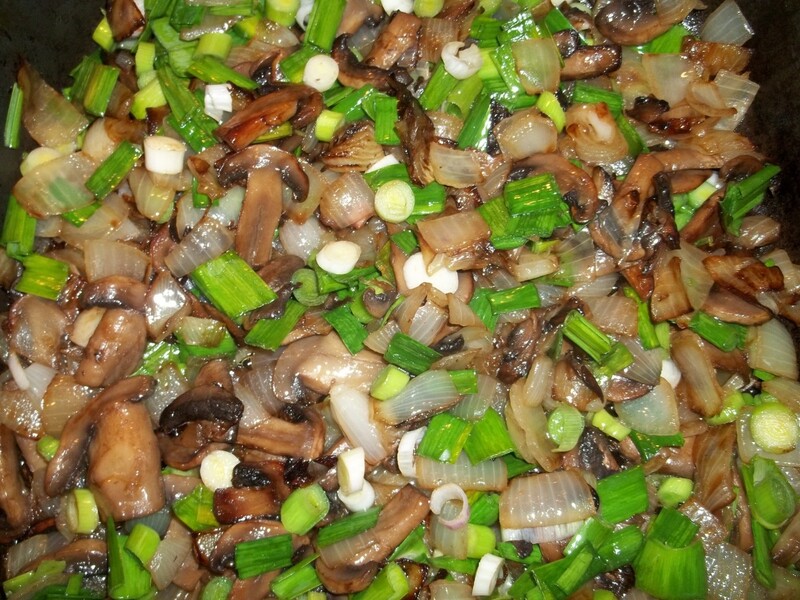 Add 3 tbs of oil and fry on a high temperature for 5-6 minutes, stirring frequently. 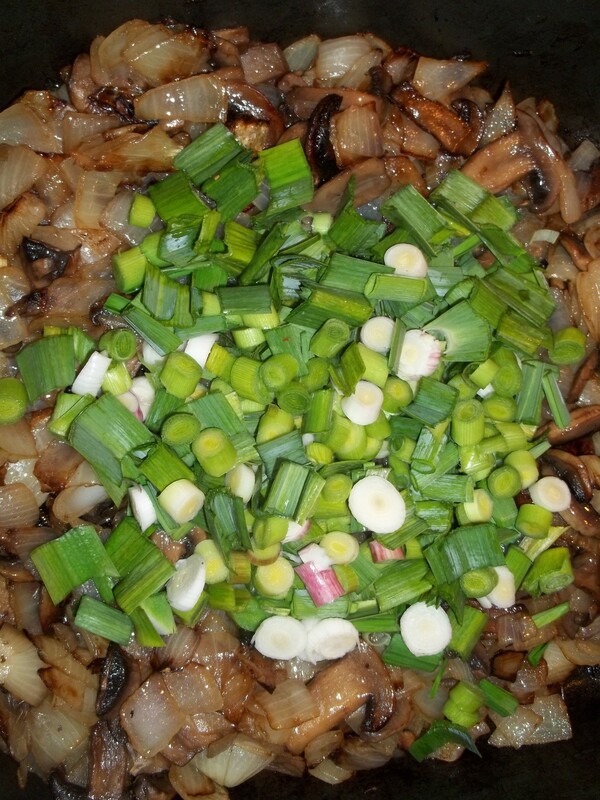 Chop the green garlic and add to the pan. Taste and add salt if necessary. 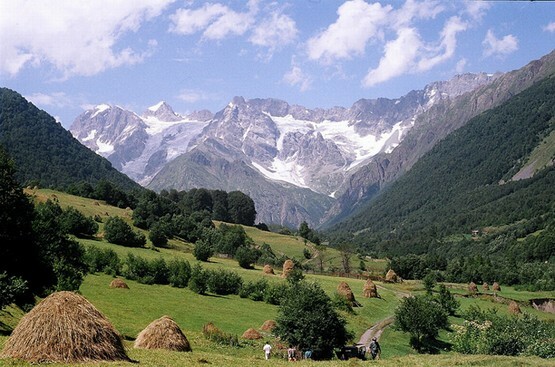 Reduce the temperature to a low heat. Stir. Fry for a further 2 minutes. Remove from heat and serve. Serving: Serve hot or warm. 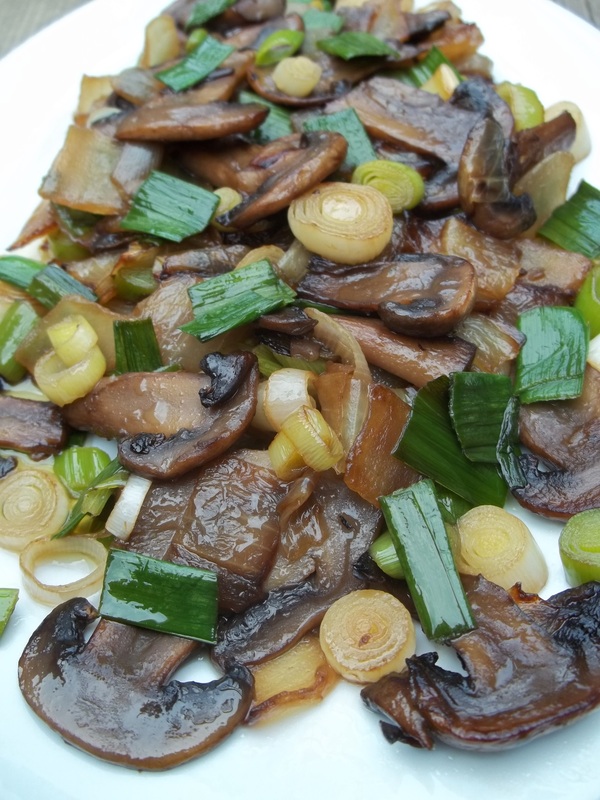 Enjoy your Green Garlic and Mushrooms!